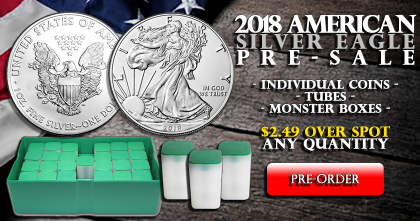 Blog - 2018 Silver Eagle Pre-Sale @ $2.49 Over Spot! Simply put, we want you to get your coins first AND at the very best rate. Please note that this is a special pre-order rate; we cannot guarantee this price will last once our first allocation sells out. 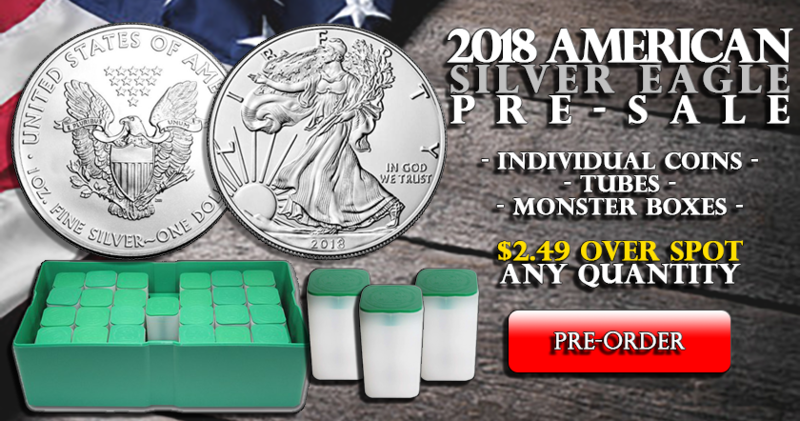 We were fortunate to get a great rate on the first group of 2018 Silver Eagles, but we may not be so lucky on our next shipments. Be sure to take advantage of this superb wholesale rate -- and reserve your place at the head of the line!